Jefferson City  Governor Parson commends the hundreds of Missourians who will join together in tomorrow’s “Midwest March for Life” event in Jefferson City. The Governor will be joining participants in praying for Missouri and our nation to uphold a culture of life. Missouri continued to see a decline in abortions in 2017. The Missouri Department of Health and Senior Services reported that 3,903 abortions occurred in 2017, down from 4,562 in 2016. 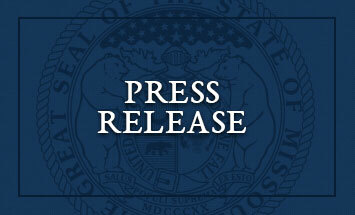 “Thanks to our state’s conservative leadership and the dedicated efforts of Missourians across our state, more and more Missourians are thankfully choosing life,” Governor Parson said. The Governor encourages all Missourians to get involved in efforts to support life in their communities whether that’s opening your family’s home to adoption to assist children in need, volunteering at your local pregnancy resource center, or joining with your faith community to provide the necessary support to help individuals choose life.